Chassis with optional new style around the front of the mask. The number of drivers in the cab is2+3The corresponding mass people(kg)by4170,The number of drivers in the cab is3+3The corresponding mass people(kg)by4105. 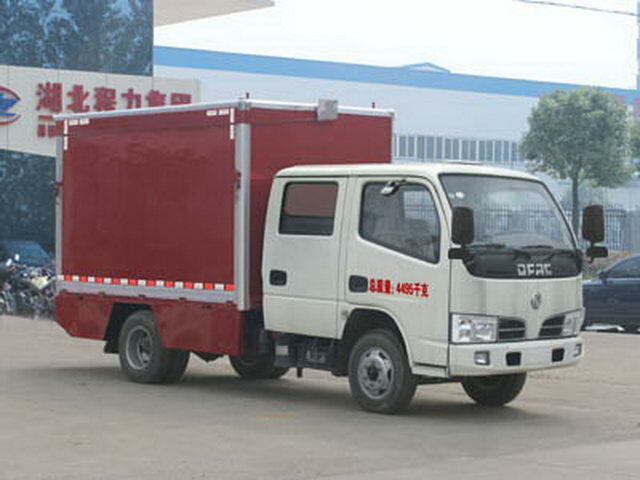 The right side plate of the box body is divided into two parts, the upper and the lower parts.,On the roof part with upward opening forming stage ceiling,The lower part of the right side plate forms a stage plane. 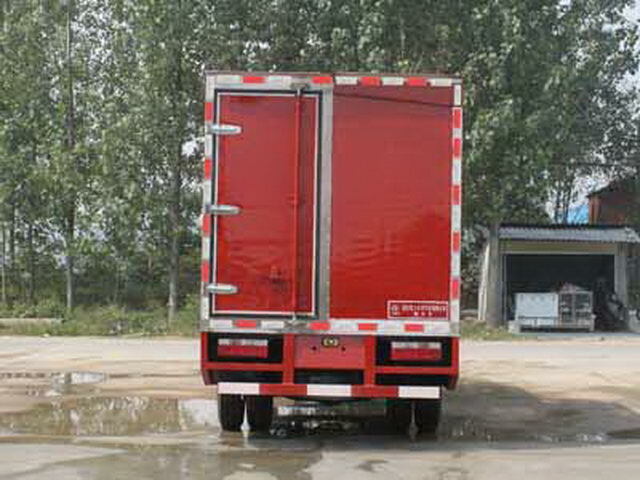 The side door is a skirt planar structure,Welded connection. 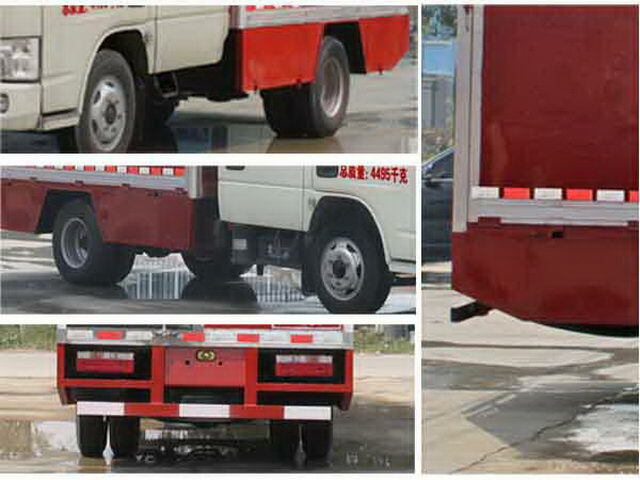 Section size of rear guard(mm):100*50*5,Off the ground:400mm. 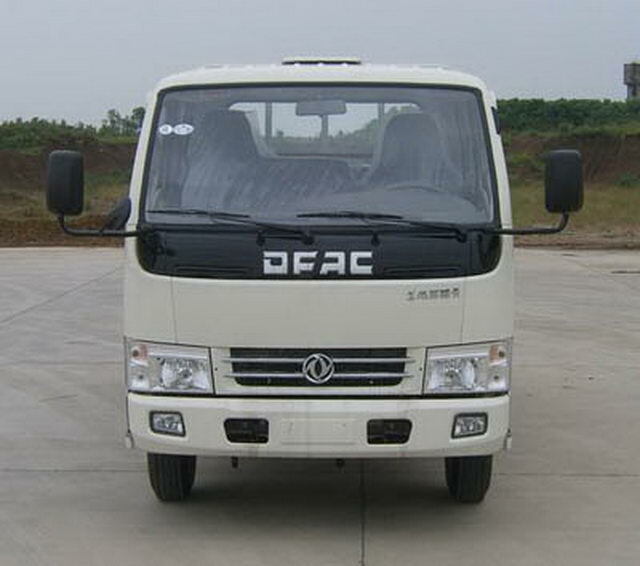 Other: Optional new front cover.ABSSystem manufacturer/Model :Dongfeng electronic Polytron Technologies Inc automobile braking system company/36JD01-30010,Optional speed limit device,Maximum speed is80km.The front fog lamp front bumper is optional.